Hope your Thanksgiving was truly one of thanks and blessings. And may you enjoy decorating for Christmas as much as this family did! 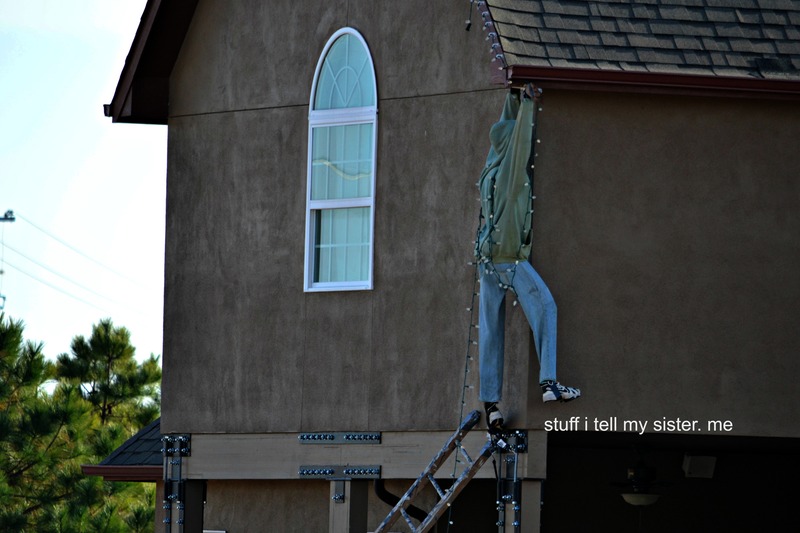 This entry was posted in Christmas, Oklahoma, Thankful and tagged Christmas Decorating with humor, Christmas Lights, Hang in There, humor. Bookmark the permalink. 3 Responses to Hang In There!